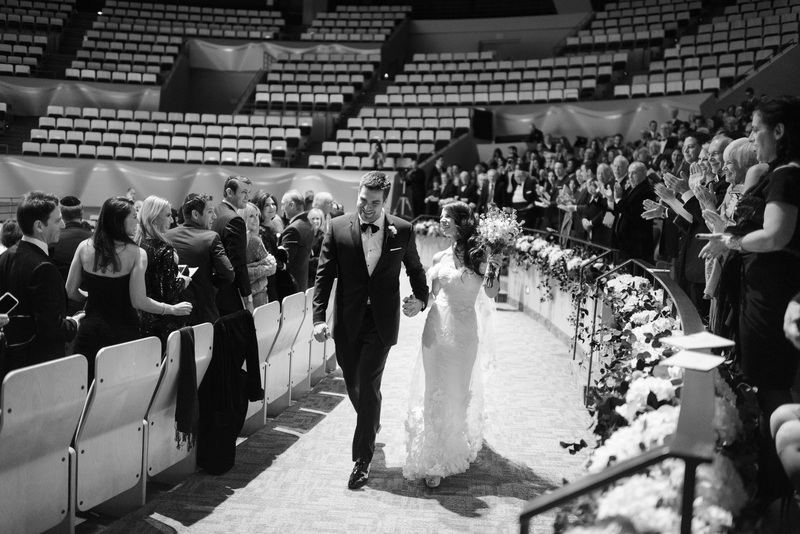 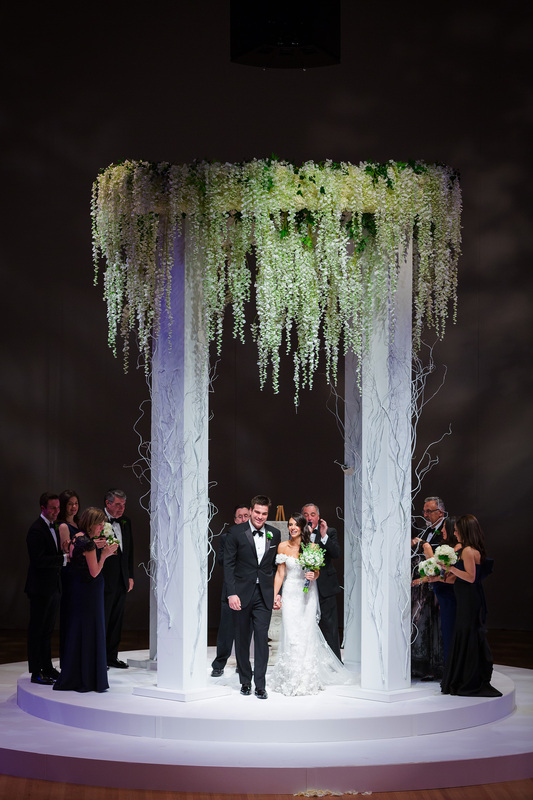 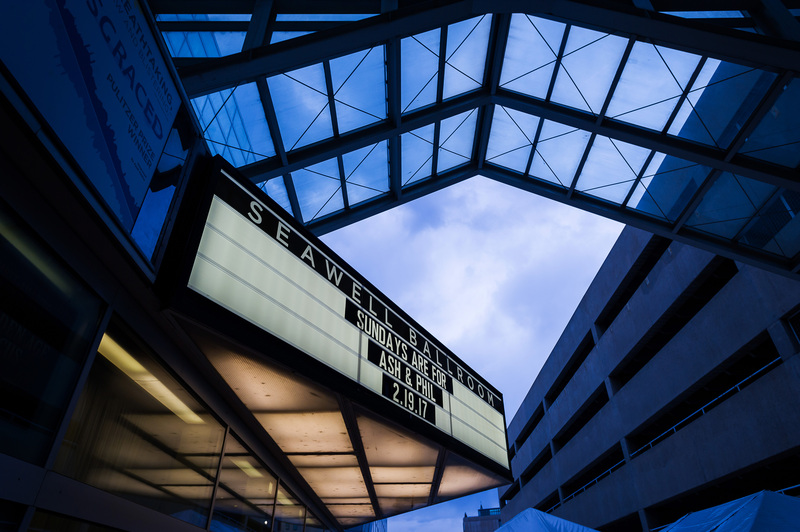 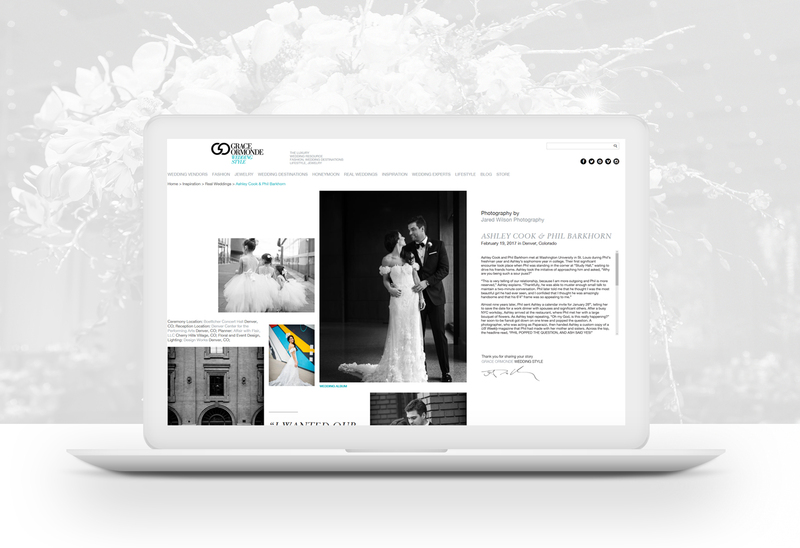 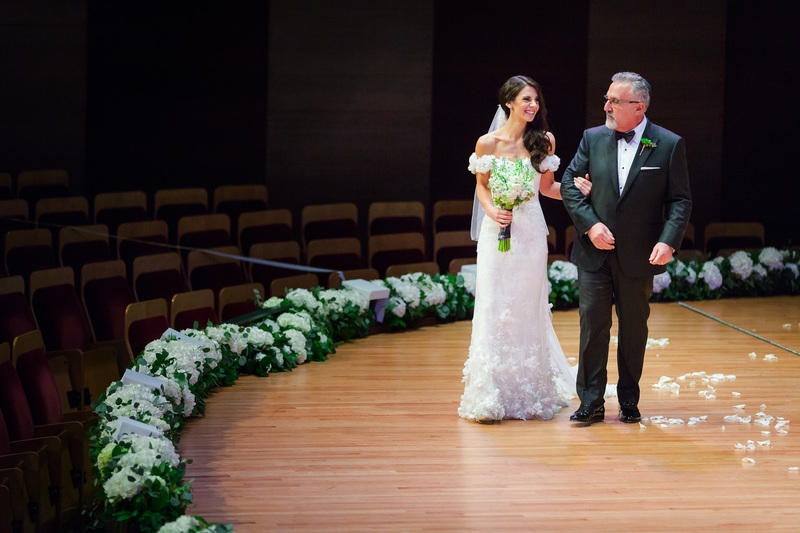 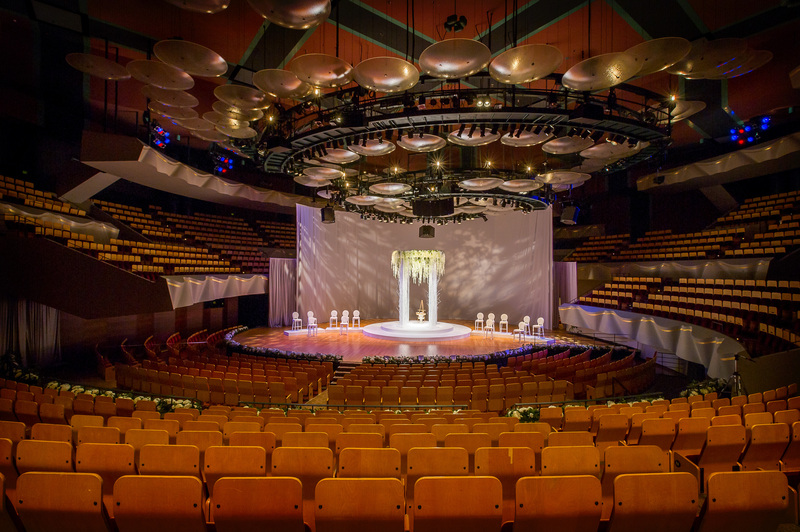 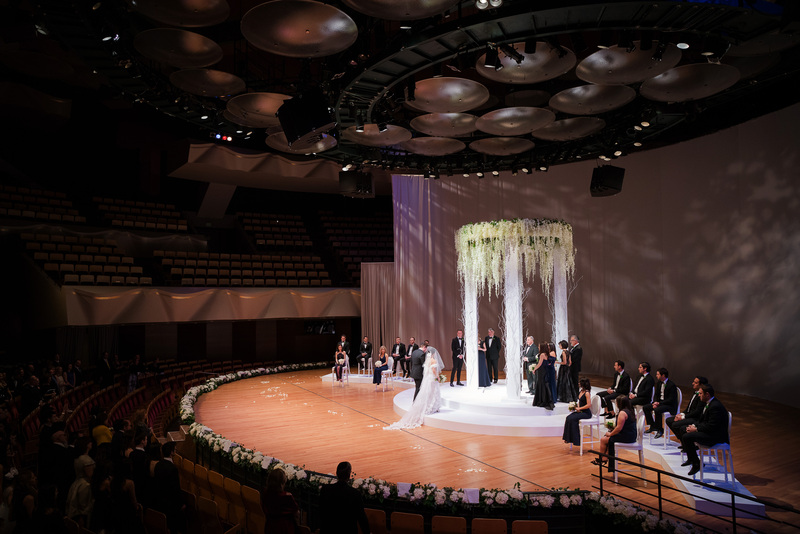 When the big day arrived, the ceremony was held at Boettcher Concert Hall, home of the Colorado Symphony. 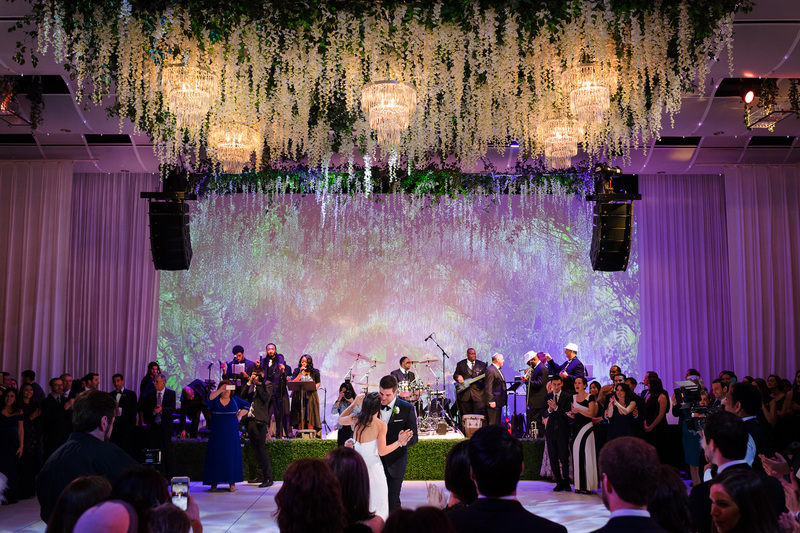 A live 13-piece string orchestra from the Colorado Springs Symphony played a mix of EDM, pop and oldies. 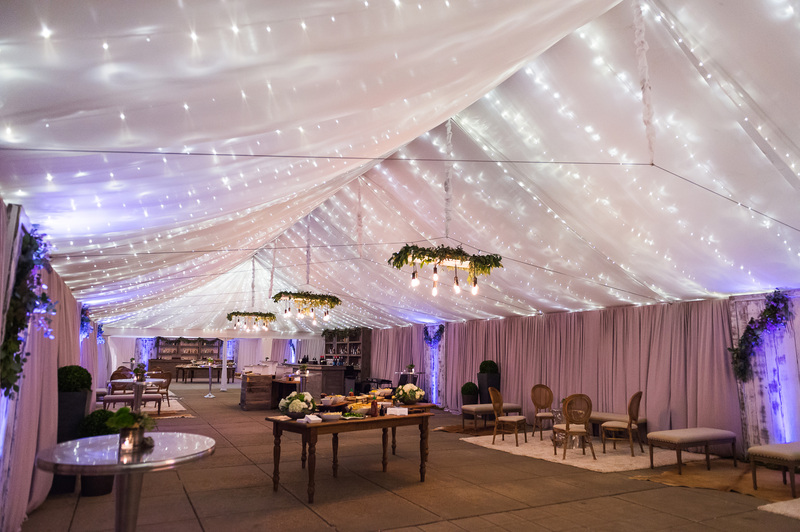 Afterwards, a cocktail hour was held in a tent designed with a Restoration Hardware ambiance, combining twinkle lights, barn door facades, and lounge areas with throw rugs and tree trunk cocktail tables. 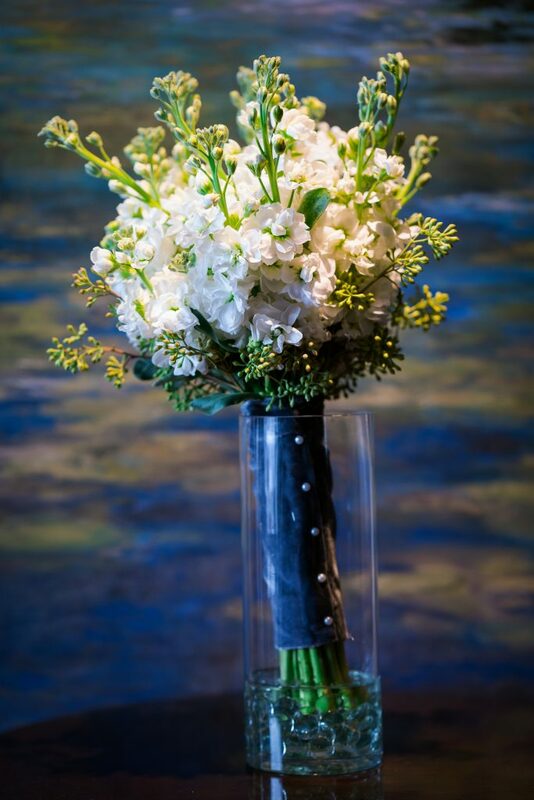 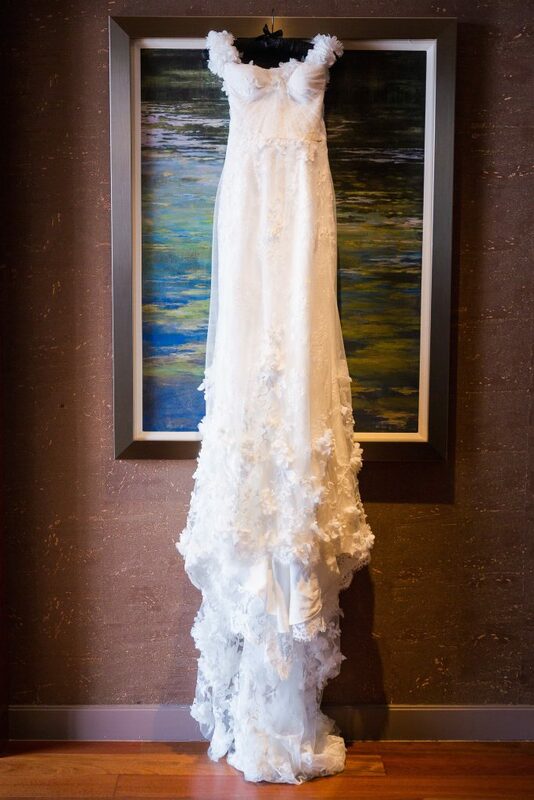 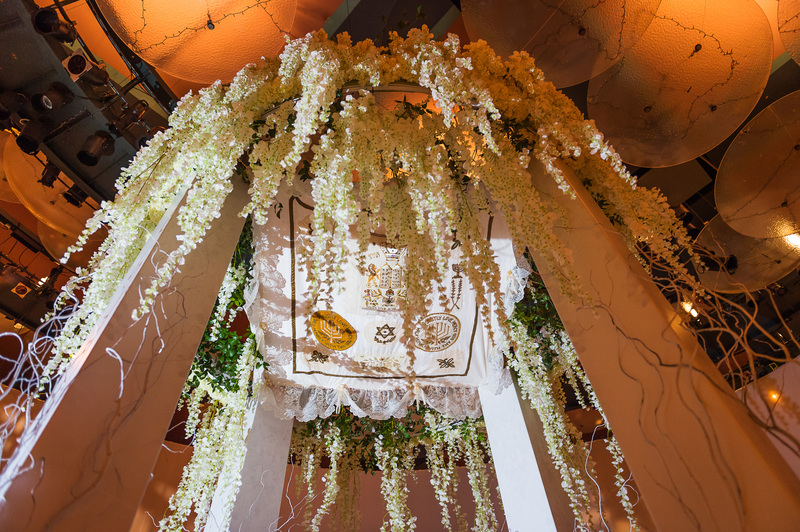 With the bride being a scarf designer, her inspiration for the reception décor was to incorporate a wealth of texture. 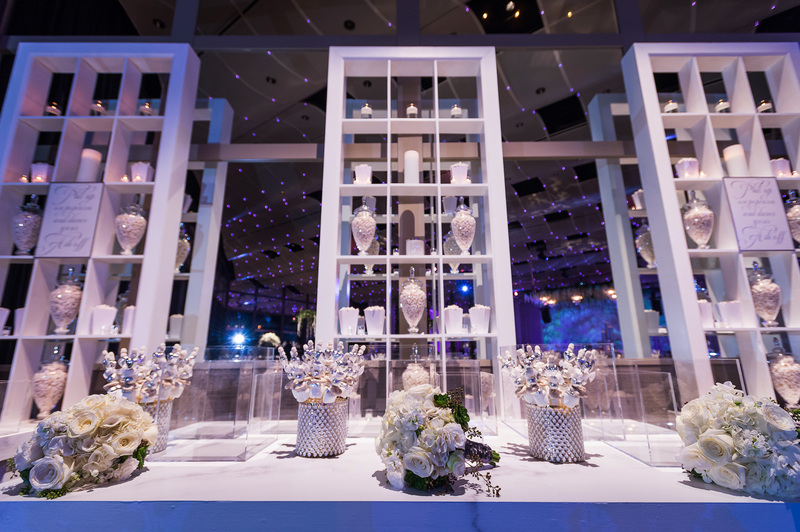 Each round table was made of a different surface – marble, wood, glass and mirror. 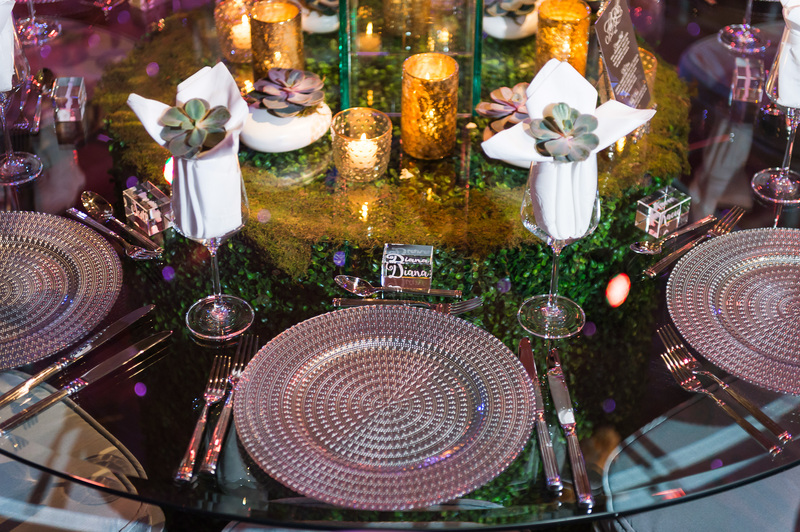 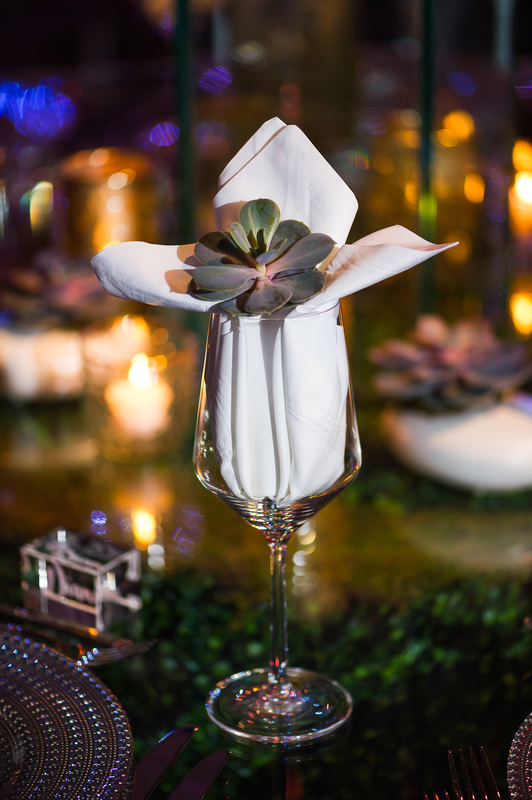 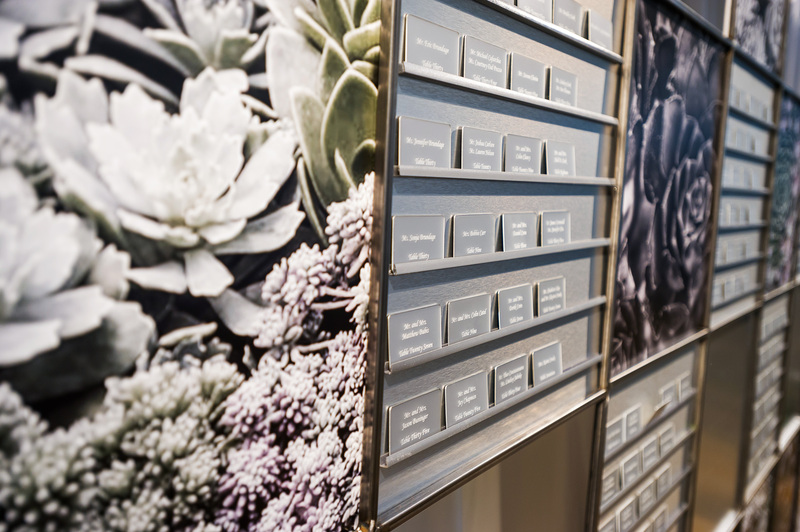 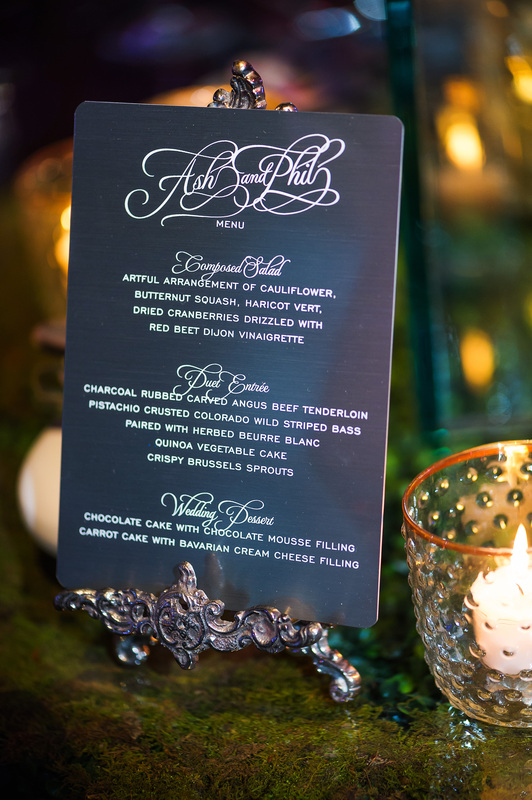 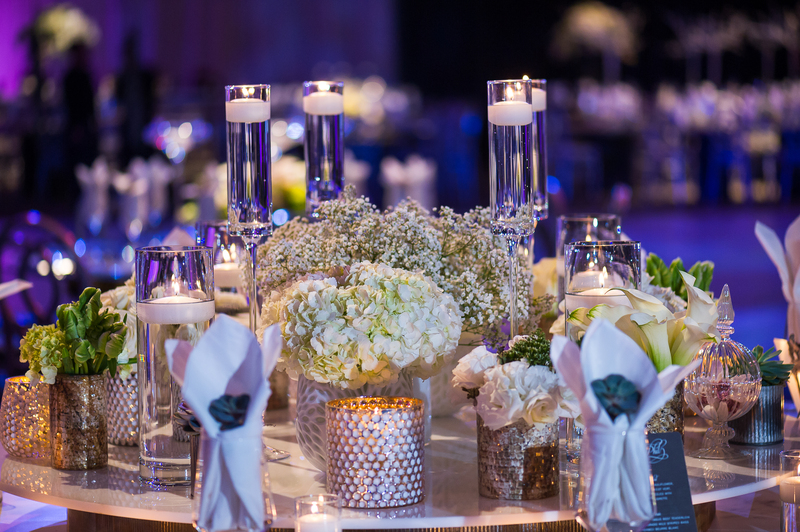 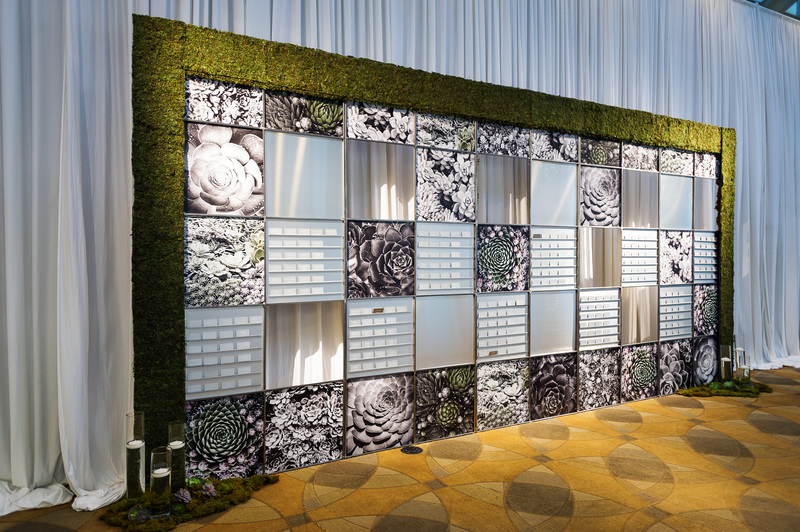 The space was accessorized with gold and silver metals, as well as a floral combination of succulents and wisteria. 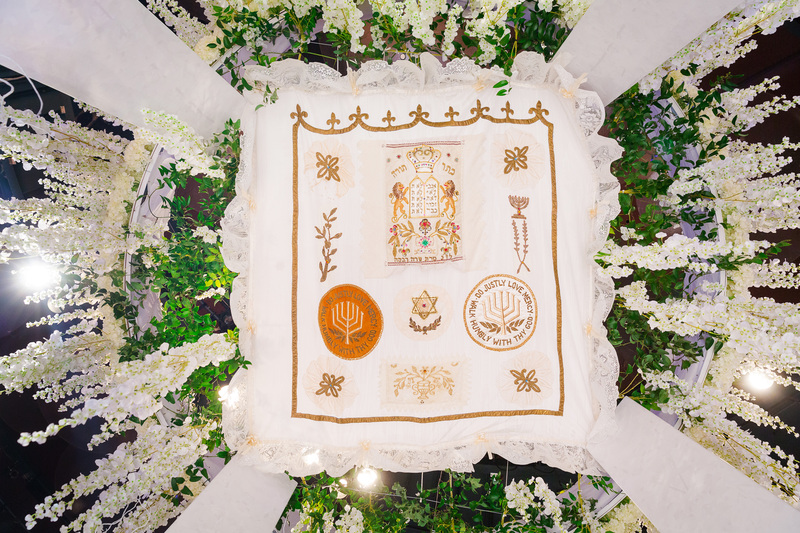 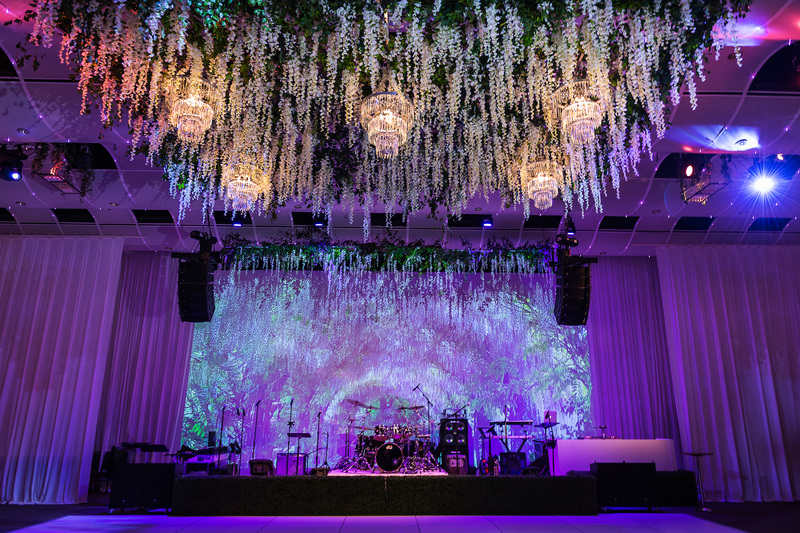 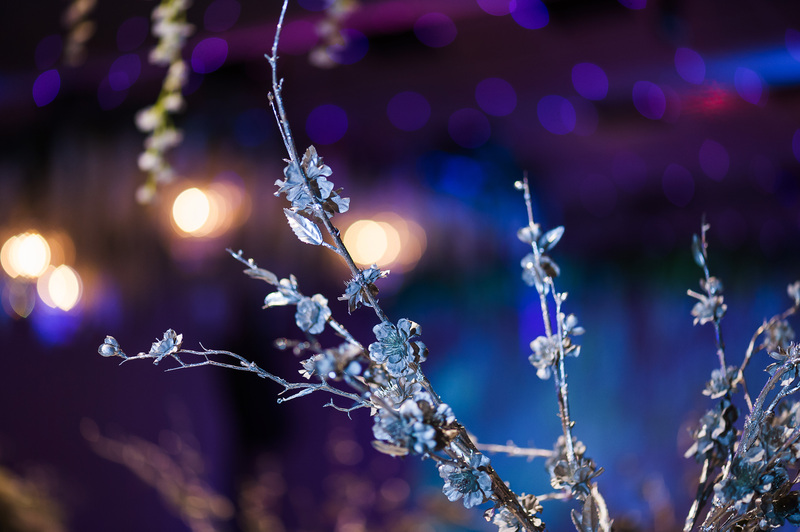 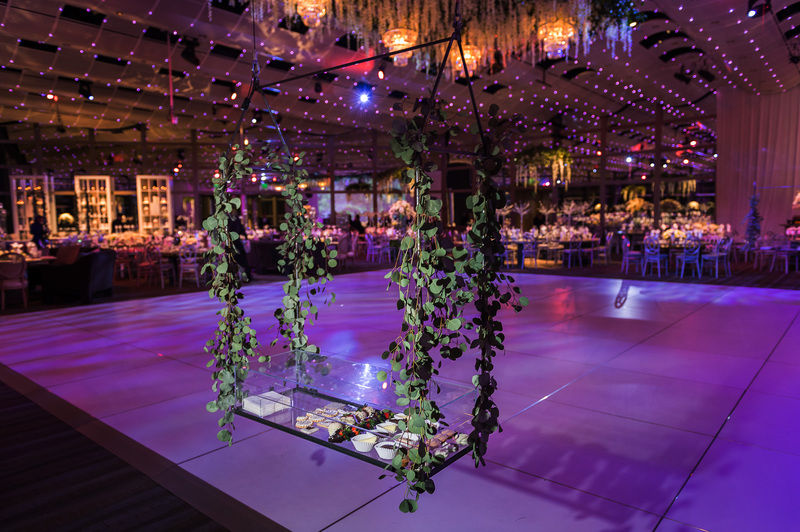 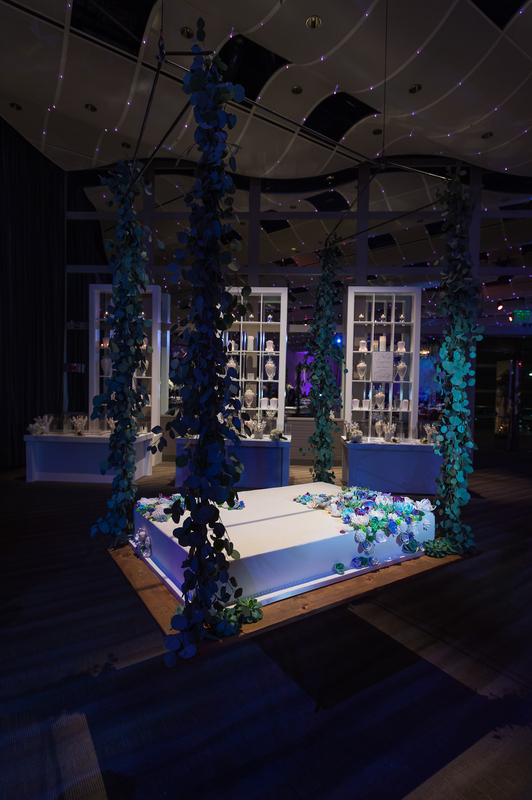 Guests were also delighted with a moving projection of a Japanese wisteria garden, which was used as the backdrop for a talented band, and coordinating dessert swings that were lowered from the 20-foot ceiling. 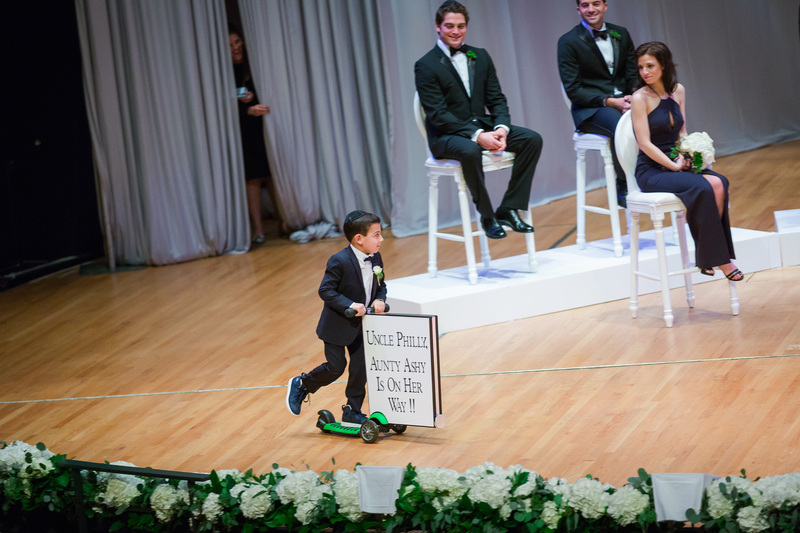 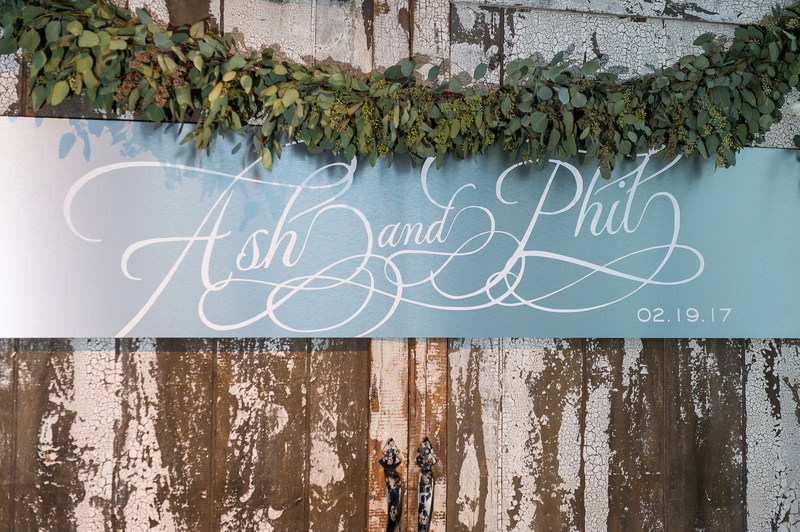 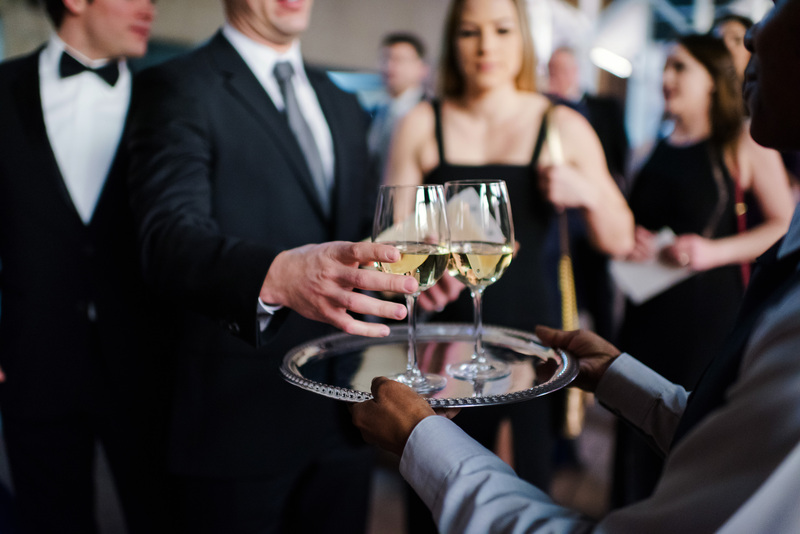 The newlyweds had the exact celebration they’d hoped for, with guests dancing all night and an afterhours popcorn bar with a sign that read, “PHIL UP ON POPCORN AND DANCE YOUR ASH OFF.